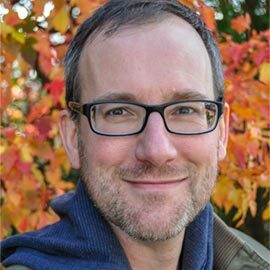 WATERLOO – Christopher Anderson, associate professor in Laurier’s Political Science department, was awarded a 2016 Ontario Undergraduate Student Alliance (OUSA) Award for Teaching Excellence. The Award for Teaching Excellence recognizes educators who excel at unlocking the potential of Ontario’s young people. The recipient is chosen from among Laurier faculty who have been nominated by Laurier students. Each member school of OUSA selects one faculty member from their respective institution to receive the award. Anderson is the eighth Laurier faculty member to be honoured with the award. "It is especially heartening for any teacher to be recognized in this way by his or her students,” said Kathryn Carter, acting associate vice president, Teaching and Learning. “Congratulations to Chris for receiving this wonderful honour." Anderson started teaching the first-year introduction to politics course at Laurier in 2006. He also teaches senior courses on Canadian politics and public policy. Anderson says teaching the first-year lecture on political science was challenging at first due to the size and broad scope of the course, but he soon came to enjoy it. Anderson says it’s crucial that his students know that their voices and ideas matter from the first day of class at Laurier. Throughout the course, he provides many opportunities for students to show not just their learning, but their own take on core political ideas and issues. He also works to provide students with as much choice as possible to take more ownership over their education. Anderson hopes that each student will at least gain a better understanding of how politics and civics touch their life and will keep thinking about what kind of community members they want to be. Anderson says that there is nothing quite like receiving an award such as this. The recipient of the 2015 OUSA Award for Teaching Excellence was Rebecca Godderis, associate professor, Society, Culture and Environment and Health Studies programs. The Ontario Undergraduate Student Alliance represents the interests of over 140,000 professional and undergraduate full-time and part-time university students at seven student associations across Ontario. Since 2009, the Partners in Higher Education dinner has brought together an array of partners and stakeholders from Ontario's post-secondary sector to recognize teaching excellence. The OUSA presents its teaching awards annually to professors from each of the member campuses that have taken this role to heart and have been selected by their students as examples of teaching excellence.